Have you started looking into Christmas gifts yet? It's about that time people: one week left till Christmas! 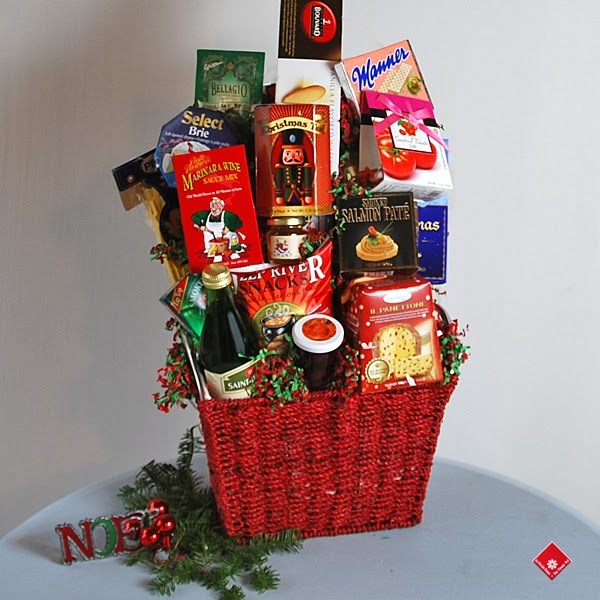 The Flower Pot has gift ideas for every budget, and every taste, including wonderful holiday food to enjoy, like the contents of our Tasty Christmas food basket. It includes all types of delicacies, from mulled wine spice mix to smoked oysters and mustard. Looking for something a little less costly? You can still get yourself or someone else some great goodies. 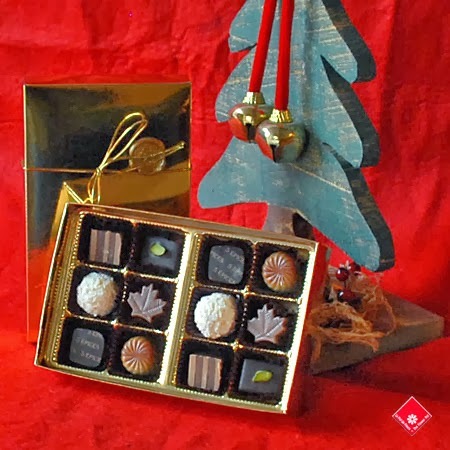 Our Holiday Chocolate comes wrapped in a small golden box. 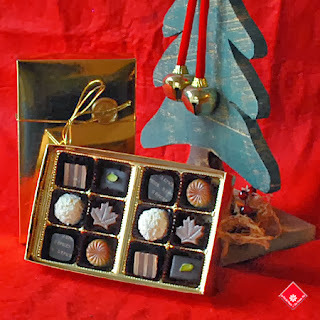 The chocolate is hand-made by a local chocolate maker, Chocolats Privilège. Those of you who want a more elaborate present that doesn't break the bank, check out Santa's Gifts, a lovely little box filled with culinary surprise after surpris, including Québec-made ice cider! 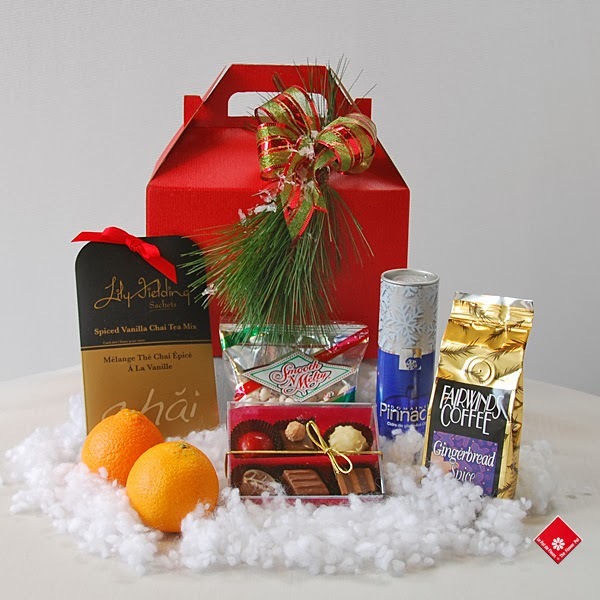 For more ideas, check our website, visit us, or call us at 514-938-1234.